International Dangerous Goods and Containers Association" Non-commercial Partnership (hereinafter referred to as IDGCA) was established on August 16, 2001. First Deputy Transport Minister, V.V. Ruksha, was elected as the first president of IDGCA. IDGCA was established by a number of organizations interested in creation of ongoing structure providing communication between Administrations, international organizations and business. Foremost, the activity of IDGCA is directed on increasing of efficiency and safety during door-to-door transportation of dangerous goods. Therewith IDGCA builds its policy on the base of knowledge and exhaustive implementation of international regulations, standards, rules and recommendations, which allow business to apply world experience and practice in the field of intermodal transports of dangerous goods and containers. In 2004 UN Subcommittee of Experts on the Transportation of Dangerous Goods gave IDGCA a consultative status (see page 21, point 125). IDGCA is the only non-governmental organization in the Eastern Europe, which received such status. Since that time, the experts of the Association present at all the sessions of UN Subcommittee of Experts and take part in development of international legal base. This enriches us with knowledge in this area. The representatives of IDGCA take part in the work of the International Maritime Organization (IMO), in the work of the International Organization for Standardization (ISO) and this in its turn provides us with enough information space and ability to render information assistance to our partners. One of the most important goals of the Association is training of expert specialists, whose experience is based on knowledge of international Conventions and rules. In 2003 IDGCA established the International Staff Training Centre (ISTC), where training of specialists with applying unique training programs is being executed. Knowledge and experience of "IDGCA" are being constantly maintained by means of carrying out practical works on evaluation of compliance of goods, containers and vehicles with requirements of safety. For this purpose, in 2002 "Russian Register", JSC, Independent Survey Company with 100% Association capital was established. Today IDGCA does not render charged services and executes its activity only for account of membership dues and means coming from subsidiary companies. The official press organ of IDGCA is bilingual journal "Dangerous Goods and Containers", which is being published science the day of foundation of the Association and regularly informs on changes, which are being introduced in international normative legal documents. 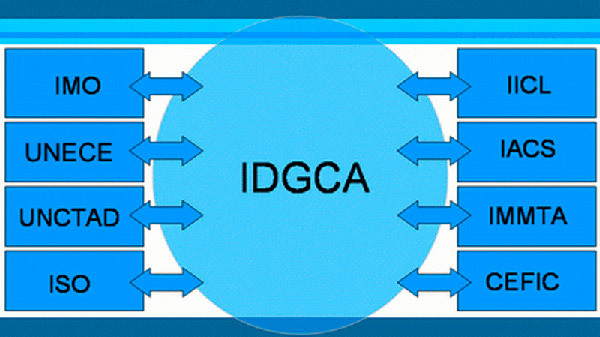 IDGCA applies up-to-date standards of management in its activity. In 2004 "IDGCA" registered the system of voluntary complex certification of safety and quality check systems. Within the framework of this system we offer our partners to develop essential conditions for safety and quality managing their businesses. The supreme authority of "IDGCA" is the group of members of the Association, which elects the president and Director General. The permanent personnel consists of Director General, Deputy Director General and Secretary. 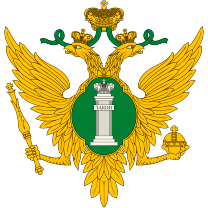 The emblem of IDGCA registered by the order of the Ministry of justice of Russian Federation from 01.04.2014 № 565-R. Account № 133-14. Organization of conferences, seminars, sessions, symposium with the participation of foreign and native specialists and trainers on transportation of dangerous goods including intermodal (multimodal) transports. Rendering gratis consultative services to the members of IDGCA occupied in manufacture and transportation of dangerous goods, as well as in engineering, manufacture, exploitation, repair, survey and stevedoring services, leasing and insurance of transportation facilities and containers. We can promptly, exhaustively and definitely answer your questions concerning the transporting and handling of dangerous goods because within the last 5 years IDGCA’s representatives have been taking part in all the sessions of the Sub-Committee of Experts on Transport of Dangerous Goods. information about changes which are made in the international regulatory legal acts, but also receive answers from competent specialists how this changes will work on your activity and even on the one concrete operation planned by you. You will be involved in the process of development and updating of the international and national regulatory legal acts concerning the transporting and handling of dangerous goods. IDGCA holds annual conferences with the participation of representatives of the international organisatons, authority and business. The most competent specialists are usually invited to these conferences. In the course of the conversation with the authority representatives in the non-official atmosphere you can receive answers to every question you have. You can educate and certificate your personnel in the International Staff Training Centre (ISTC) on special terms. IDGCA provides its members with representing and protecting of their interests in the state government bodies of the Russian Federation. You will have the opportunity to put forward proposals to these bodies and receive decisions on your proposals. 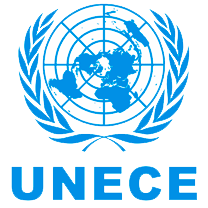 Federal State Enterprise "Russian Maritime Register of Shipping"
Public Corporation "Russian Union of Russian Manufacturers and Employers"
National Bureau of Expertise Co., Ltd.
Sandvic Mining and Construction Finland Corp.